350.org – Keep in the ground, Brazil! 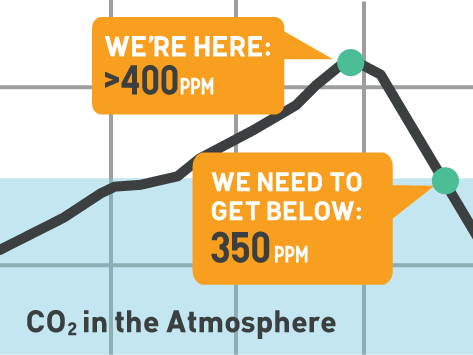 Brazil committed with the Paris Agreement to reduce greenhouse gas emissions by 37% by 2025. But time is running out. Climate change continues to send signals of its strength and the Brazilian government continues to promote auctions for oil and gas exploration. A contradiction, that is far from being aligned with the Paris Agreement. We can see in Brazil that climate justice is losing to profit and big business. The 15th Round of Bids organized by the National Petroleum and Gas Agency (ANP, in the acronym in Portuguese), took place on March 29 in Rio de Janeiro. This is when the government sells of blocks of land to oil companies. This time, 68 blocks were offered and 20 companies were registered to. Yes, the same old usual suspects were there, including BP, Exxon, Chevron and Shell – the same companies which are being sued by the New York government for their responsibility in perpetuating climate change. The campaign against fossil fuels in Brazil is consistent and strong. Many local organizations including 350.org Brazil and COESUS – Non-Fracking Brazil Coalition for Climate, Water and Life – have all been fighting for the end of the auctions and for the transition to 100% renewable energy for all. Throughout the years, many actions have been organized and many people mobilized. This auction wouldn’t be different, but we wanted to take our message even further. In February, members of 350.org Brazil and COESUS met with ANP and were able to guarantee the right to speak at the opening of the auction of the onshore blocks. We had big expectations. Memories of the last two auctions came back to our minds. In the 14th Round, in September 2017, civil society was prevented from entering the room reserved for the auction. About 180 activists protested peacefully outside the auditorium. Even so, indigenous activists were assaulted by ANP’s security guards. Later, during another auction in October 2017, even with the right to enter the auction guaranteed by the Federal Court of Rio de Janeiro, we were prohibited from participating. The format of the auction was different this time. In the morning, the offshore blocks were offered: 47% were sold, yielding 8.14 billion BRL, in what the government classified as a great success. An incoherent celebration, since the Provisional Measure 795 gives to some of the biggest oil companies in the world a giant tax break worth $300 billion. To believe that this “bonus” comes to the benefit of the population is an illusion. In the afternoon the onshore blocks would be offered, and the time for us to come face to face with investors and companies arrived. 7 representatives of 350.org Brazil and COESUS spoke at the opening of the afternoon round of bids. We were a set of common people, from a diversity of backgrounds and sectors, united for a more sustainable world. After the intervention, the auction of the land blocks would begin. And no one imagined that it would end so fast. None of the 21 blocks were sold, because of “high investment risks” according to ANP. That represents 3.2 billion barrels of less oil equivalent and approximately 1.1 billion tons of carbon that will not be dumped into the atmosphere. A great victory! For the planet, for society and for a world free of fossil fuels. For almost five years we have had a common goal: to ban fracking. 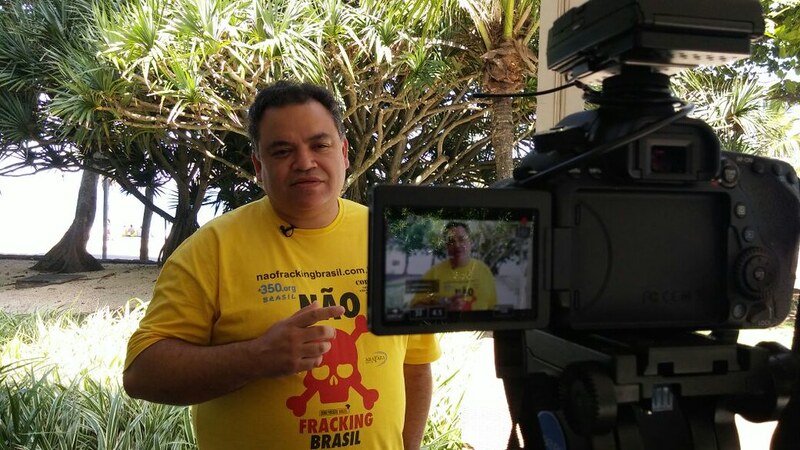 So far, more than 380 cities in several states have already prohibited environmental licensing for fracking in their territories, thus joining the No Fracking Brazil campaign. No fracking in our land! We know that the fossil industry has an expiration date. And the government representatives know it too. The chief minister of the General Secretariat of the Presidency of the Republic, Moreira Franco, himself said that “the era of oil will end, but certainly not because of the lack of oil”. And still, many others in the government insist on drilling for oil and gas – proof that the government’s continued interest in fracking and in further upcoming auction, scheduled for June. But we won’t give up. The world needs to tackle global warming urgently, and to meet the goals of the Paris Agreement, oil, gas and coal must remain on the ground – there is no other option.